• Paper Models: The game includes a set of beautiful and easy-to-build paper models which will give it the third dimension and will make your game to look awesome. The new paper models include double doors open, double doors closed, columns, locked chests and the gelatinous cube! Read here a preview article about the new paper models. 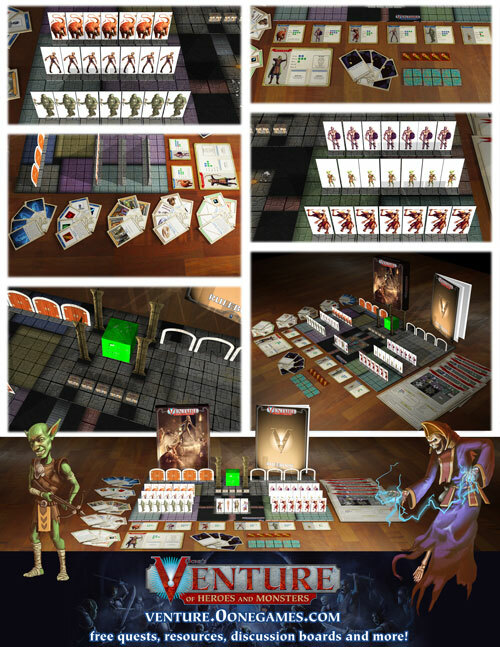 • Paper Miniatures: A set of ten different paper miniatures including 1 ranger, 1 Lich, 1 Troll Lord, 1 Mummy Lord, 7 Goblin Archers, 7 Trolls, 7 Mummies, 7 Gnolls, 7 Animated Armors, 7 Rust Monsters. 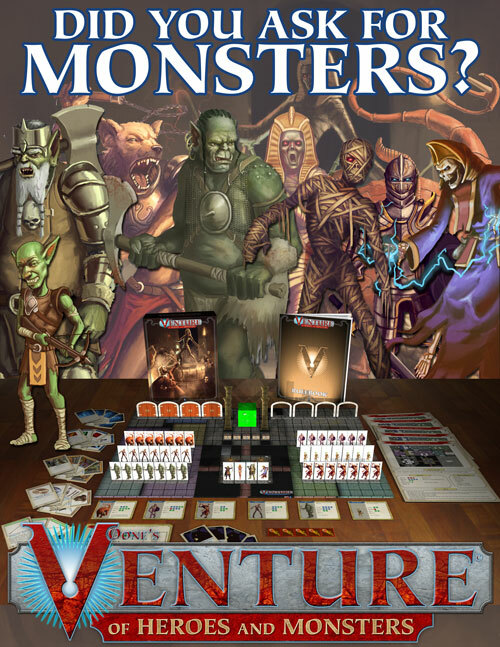 - If you buy this edition of the game expansion you will not need Venture: Of heroes and Monsters, The Travelmate Edition nor Paper Models & Miniatures.